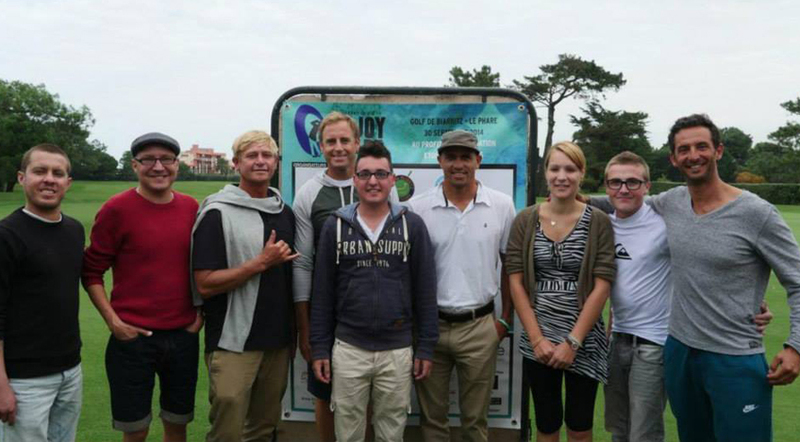 18 teams composed of international champions and regional celebrities and icons went head to head in a friendly ‘4-way scramble’ golf match which took place at the Biarritz Golf Club. The profits from registration coming from companies, athletes, and donators allowed the « Etoiles des Neiges» foundation to raise 18 300 euros. A few major athletes came out for the event: Kelly Slater (surf), Guy Forget (tennis), Thomas Lièvremont (rugby), Pierre Etchalus and Laurent Garcia (cesta punta), Mathieu Crepel (snowboard), Benoit Telleria, Thomas Elissalde and Mikael Lorenzo Vera (Golf), Julie Pomagalski (snowboard) and many more. 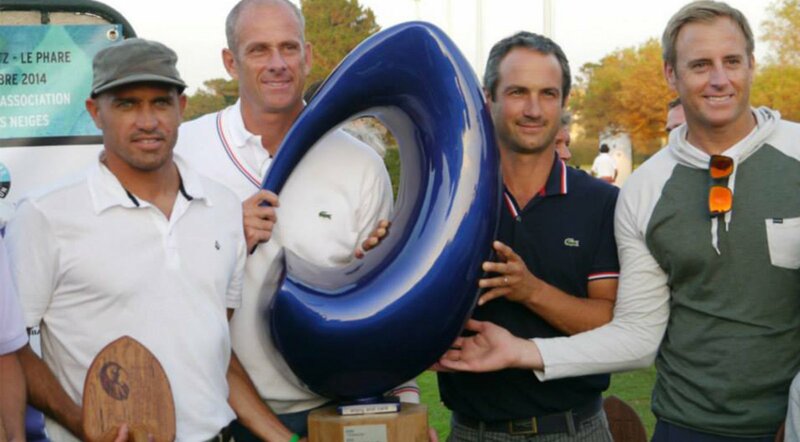 Jeremy Flores’ team, composed of Kelly Slater, Guy Forget, Benoit Telleria and Ross Williams won the tournement after over 4 hours of play. The Enjoy and Care Trophy 2014 edition supports the ‘Etoiles des Neiges’ foundation for the second year in a row. ‘Etoiles des Neiges’ has been supporting kids with Cystic Fibrosis for over 15 years with involvement in different sports, including athlete support and making dreams and projects come true. This fun-filled day was the occasion for young teens involved with the association to discover to joys of surfing and golf alongside of international champions such as Florence Masnada, Pierre Frolla, Marianne Brechu and many others as well as surfers from the Quiksilver and Roxy Pro France. In addition, the young guests, some of which were followed by specialized services from Bordeaux and Toulouse hospitals, went on to enjoy 3 days of surfing in the Basque Country ! All the earnings will be donated to ‘Etoiles des Neiges’ and will finance 2 camps in 2015 : a "ski and physical rehabilitation» camp in Savoie in March and a "Surf & Ocean" camp in the Basque country for kids during the month of June.